Asbestos: Naturally occurring in the environment, asbestos is a group of minerals that exists as bundles of fibers, which can be separated into threads. Because of their durability and resistance to heat, fire, and chemicals, asbestos fibers have been widely used in many industries, including construction, shipbuilding, and automotive. After heavy use in many products, asbestos was discovered to be a health hazard. Consequently, the use of asbestos has been greatly reduced. However, older products, especially older buildings, still contain asbestos. It is still legal to use asbestos in some applications, providing the product contains less than 1% asbestos. Business insurance: Asbestos can prove costly to business owners whose employees use or regularly encounter it. Be aware of safety regulations, and implement them, using the help of employee education programs. Liability lawsuits are still being filed by individuals exposed to asbestos, and liability insurance is a must-have – not a should-have. Check with your insurance agent to ensure your coverage is appropriate for your level of risk. Claims: The initial discovery of the harmful effects of asbestos resulted in a surge of claims. By the 1990s, it seemed this wave had passed. Recently, though, it has resurfaced. Business owners should be prepared with proper insurance and review of potential asbestos problems. Contact your insurance professional with any questions. Investing in tech companies may be risky, but if you succeed in finding a winner, the payoffs boggle the mind. And these days, finding a winner doesn’t mean you have to be techy. It just means you’ll have to go back to school. 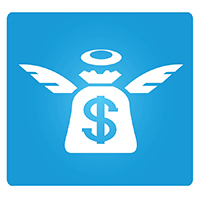 However, many angel investors simply aren’t tech-savvy. And that concerns the entrepreneurs. Fortunately, where there’s a knowledge gap, there are people prepared to fill it. And while the United States, Europe, and China hold the top three spots for buying high tech, the craze circles the world. In Canada, National Angel Capital Organization (NACO) has developed a modular course to teach investors the ins and outs of investing in tech start-ups. In fact, nontech investors may offer entrepreneurs something more than their cash. While they may not be wise in the ways of technology, they may be very wise in the ways of business. Entrepreneurs, for all their creativity and product knowledge, need to understand how businesses work to maximize their success. Their angels may be able to help with that. “You don’t want to market to someone as a baby boomer. They don’t want to be in that category,” comments Christine Carlton, cofounder of online retailer TheSeptember.com. Quoted in a recent article in the Globe & Mail, Carlton neatly summed up the problem retailers are having marketing to boomers – who don’t want to be marketed to as boomers. There are 76.4 million boomers in the United States, and they have money. As a Neilsen report indicates, they account for 70% of Americans’ disposable income, and the younger boomers stand to inherit a combined $13 trillion in the next 20 years. While many retailers are targeting special products, such as antiaging creams, at boomers, their marketing is subtle, with older but beautiful (and often airbrushed) models and celebrities as spokespeople. Also targeted to the 50-to-70 age group are home-related products, including furniture and decor items and raw materials for boomer DIYers. What Is the Translation, Please! If you travel to Paris, it’s helpful to know French. If you move to Rome, it would be good to speak Italian. The world of business insurance is no different. To find your way around, you must know the language. Following are a few commercial insurance terms entrepreneurs should have in their phrase book. ACORD certificate. The Association for Cooperative Operations Research and Development (ACORD) is the insurance industry’s standards’ developer. An ACORD certificate is simply a standardized certificate of insurance. If clients or customers ask for your ACORD certificate, they’re seeking to verify you’re insured. Aggregate limit. This is the maximum amount an insurance company will pay for claims. It’s often set up as an annual limit, meaning this is the maximum total the insurer will pay during one year of coverage for all claims made during that time period. Business owner insurance. This covers the equipment you use to run your business. It may also include coverage for any business interruption and lost revenue that occurred while equipment was missing or damaged. Certificate of insurance. This is simply proof you have insurance for your business. It details the types, limits, and deductibles of the policy, as well as the name of your business, the insurer, and policy dates. Deductible. When you file a claim with your insurance company, the amount you pay before coverage kicks in is your deductible. (A $500 deductible requires you to pay the first $500 of damages.) You can obtain lower premiums by setting a higher deductible. Endorsement. Also called a rider, this is added to your insurance policy to customize its terms and conditions. It may extend coverage or modify it to meet the unique needs of your business. Fiduciary. You are a fiduciary if another person has placed trust in you to manage and protect property or money. 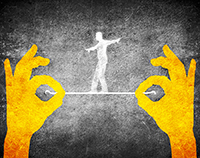 Business owners make decisions about employee benefits. Because of this responsibility, it is wise to have fiduciary liability insurance. This covers any legal liability from claims relating to pensions, 401(k)s, or other benefit plans. General liability insurance. A must for business owners, this is basic coverage to protect you from liability in cases of bodily injury and/or property damage to third parties. Primary policy. Your primary policy is the first response to a claim. If you have secondary policies, they would be accessed once your primary policy limits are reached. Professional liability insurance. Also called errors and omissions (E&O) insurance, this protects you in case of mistakes in the services you provide. This coverage should be tailored to your business. Umbrella. Similar to the ones used on rainy days, umbrella insurance protects you from a downpour of claims. It extends your liability insurance to cover major claims and lawsuits. Waiver of subrogation. A client may ask you to waive subrogation rights. Agreeing to this means that if you and that client are sued and your insurer pays, your insurance company cannot go after your client to recover its loss.